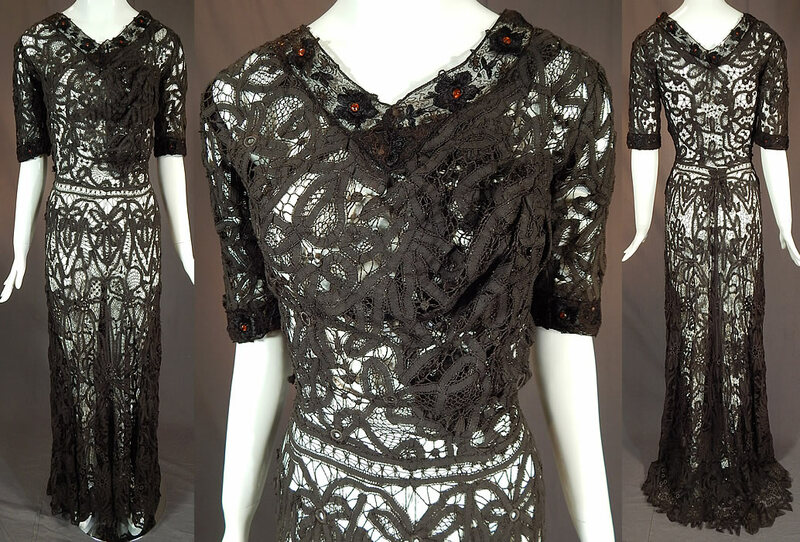 This vintage Edwardian era antique black battenburg tape lace amber beaded gown dress dates from 1905. It is made of a sheer fine black filmy linen tape lace, joined by bobbin made braids and thread bars creating an abstract spiral scrolling floral design pattern. 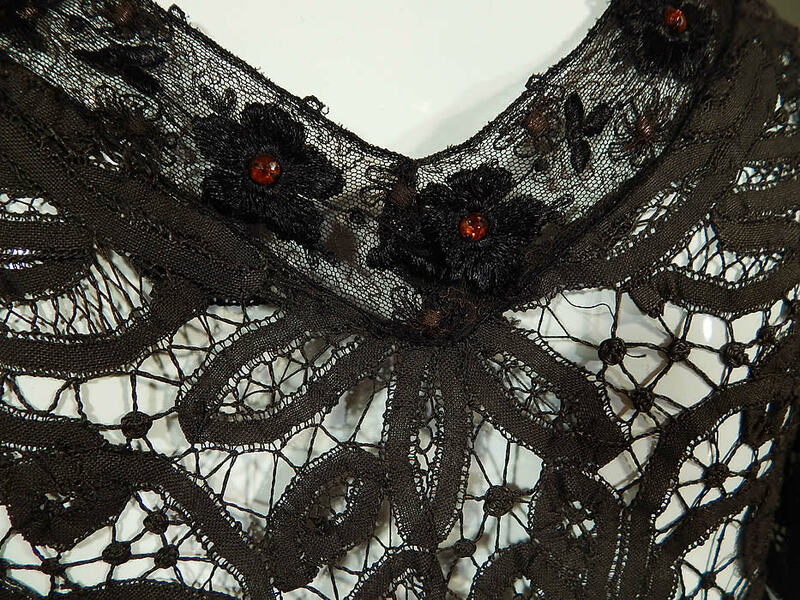 There is black net embroidered flowers, amber beaded trim edging the neckline and sleeve cuffs. This lovely lace black ball gown dress is a long floor length with slight back train skirt, V necklines, short sleeves, fitted waistband, hook closures on the back, side, shoulder and is sheer, unlined. The dress measures 64 inches long in the front, 72 inches long in the back, with a 36 inch bust, 23 inch waist, 54 inch hips and 15 inch back. 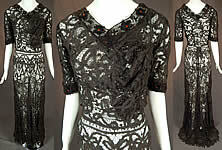 It is in good condition, with some gathered, layering of the lace fabric on one side of the top. 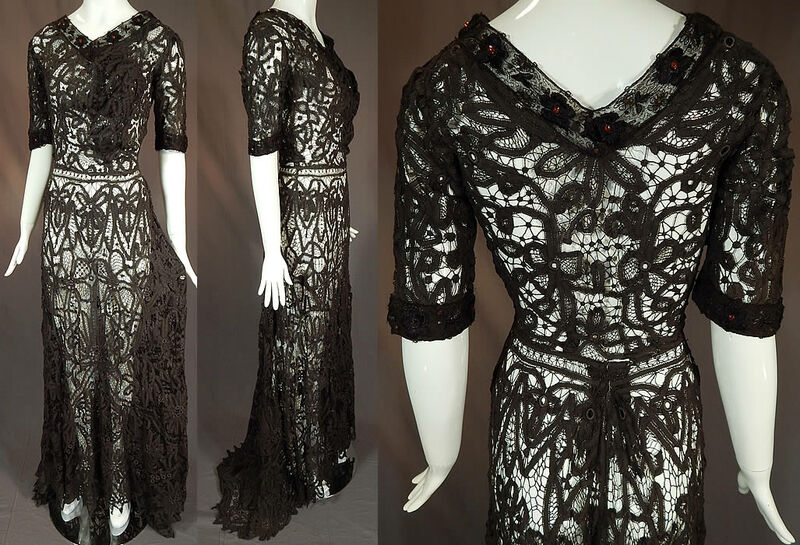 This is truly an exceptional piece of antique lace wearable art!